If you’re looking for ways to raise your profile as a Personal Assistant so that you are perceived by management as a manager in your own right, there are a number of things you can do to make that noticeable shift. How will you prepare for the next performance appraisal period? Do you have a plan for personal development that will propel you forward? Making a decision to change your personal brand could bag you a well-earned pay rise. Here are 5 practical tips for developing your personal brand. Make sure that the time you spend in your boss’s presence is used to make practical suggestions or offer solutions. Avoid being the bearer of bad news. Even if you are simply relaying a problem to your boss at someone else's request, use “who”, “what”, “why”, “where”, “when” questions to drill down to the real issue and ascertain if there are any possible solutions. Spend time in the morning with your boss; even if it’s only 5 minutes. This provides an opportunity to go through your boss’s diary and find out if any of his/her priorities for the day/week have changed. Dress for where you are going, not where you are. This is an important style element of personal branding. If you have your eye on a position in the CEO’s office then you should start dressing for that role while in your current job. Dress in a way that compliments the office you are aiming for. A business suit speaks volumes. It gives your prospective boss an opportunity to make the mental shift from seeing you as just another one of the office PAs or secretaries, to seeing you as his/her Executive Assistant. As a general rule, PAs should always deliver on their promises; particularly when it comes to meeting deadlines - most PAs appreciate that it's completely unacceptable to miss an important deadline. Use all the options open to you to ensure that you manage other people's expectations: re-negotiated deadlines and delegate tasks. To grow your personal brand you need to go the extra mile by exceeding expectations. The trick is not to let on that you intend to deliver more than is expected of you. This provides considerable substance to your branding efforts; however, this is not the same as being the "office flossy", which is someone who always says "yes" to every request for help and consequently ends up doing other people's work. It's impossible to determine what you will get out of your day if you don't make a plan. Good time management adds substance to your personal branding efforts. This is important because the higher you climb, the more important and expensive your time becomes. You can plan your day in a number of ways. Firstly, there's the To-do List which simply lists all the tasks you have to complete for the day. Secondly, there's the To-do List set out in order of priority. Thirdly, there's the scheduled plan which incorporates all the elements of the prioritized To-do List but in a "timed" sequence. This type of plan can be easily synchronised with your daily diary. It provides the best possible opportunity for completing your daily tasks as planned. JOB HUNTING? DON'T FORGET TO SAY THANK YOU! For many people the interview and recruitment process is hit-and-miss. Job seekers usually muddle through and hope for the best. Skills like resume writing, answering interview questions and writing resume cover letters are all essential skills that help you stay ahead of the pack; however, job seekers often neglect to close the loop in the process by sending a thank you letter. Here are some tips for constructing a winning thank you letter. 1. Make it a part of your job seekers plan to create a list of tasks, which ends with a thank you letter. This should be received by the hiring manager within 3 working days of the interview. 2. The thank you letter can either be typed or handwritten on good quality paper. 3. 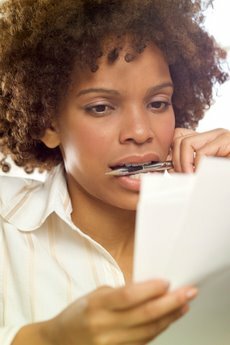 When deciding if to use a handwritten letter, consider the "personality" of the company you are writing to and that of the hiring manager who interviewed you. 4. When compiling the letter, carefully reiterate why you think you are the best candidate for the job. Include highlights about your experience and qualifications, and show how these tie in with the main requirements of the job. State specifically what contribution you will make to the organisation. 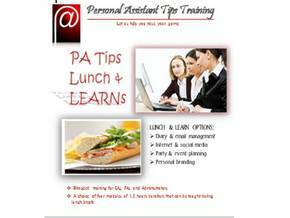 Join me, Marguerita King, MD of Personal Assistant Tips on this practical and insightful 2-day advanced Executive PA Masterclass, which will be held in London on 20 & 21 June 2012. This course will teach you how to significantly raise your profile as an Executive PA, providing practical strategies and the latest in PA best practice advice. This course will also show you how to stay ahead of the pack by providing the best possible personal assistance to your boss, increasing his/her productivity, and adding significant value to your PA role. See below what others have said about this masterclass. Do you have an effective system for dealing with papers for meetings? Do you print meeting papers a couple days before the actual meeting and give them to your boss? This is a straightforward, common sense system but there are built-in assumptions with this system as well as restrictions. Here is a possible alternative system that you could consider, particularly if you deal with papers for board meetings on a regular basis. The first tip is to ensure that papers are printed as soon as they are received in your Inbox. This is expedient for two reasons. 1) It allows you to pass on responsibility for the papers to your boss and gets the papers off your desk. 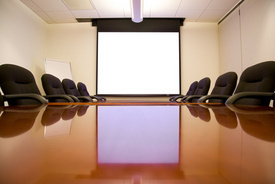 2) It gives your boss an opportunity to use the lead time to set up pre-meetings to discuss agenda points in preparation for the meeting, or simply to send emails to others to gather information for the meeting. Agree a place (perhaps in your boss's office) where papers for meetings can be placed. Your boss can dip in and out of the papers throughout the lead time period in a way that best suits his/her schedule. Another important thing to remember is to make sure that the papers are provided to your boss in printed form. It's not fair to expect your boss to read complicated papers on-screen. It's impossible to make notes in this way, and more importantly, your boss (and you) should be aiming to read any paperwork once only.